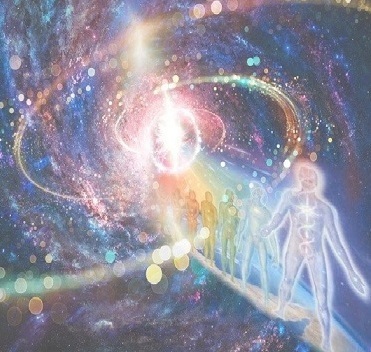 Ascension is the phenomenon of the Earth, our Solar System, as well as our entire section of the Universe, going through energetic changes within specific time cycles that keep repeating. These changes affect all life on Earth, and that is why many of us have started experiencing the effects of the changes. The first short time cycle is 26,000 years long, during which the relative distance between the Earth and the Center of Creation cyclically increases and decreases. Since ages, this has been described as our time periods of Kal Yug, Dwapara Yug, Treta Yug and Sat Yug. During these periods, the consciousness of not only human beings, but all other life as well, undergoes shifts. During Sat Yug, Earth comes closest to the Center of Creation, therefore experiencing the highest intensity of Cosmic Light and Intelligence radiating out of it. As time passes and Earth moves away from this center, it progresses into Treta Yug, then further into Dwapara Yug and finally Kal Yug, with Cosmic Light to Earth further decreasing at every stage. This is called a descending cycle, and at its lowest point, Earth is farthest away from the Center of Creation. We call this time ‘The Dark Ages’. 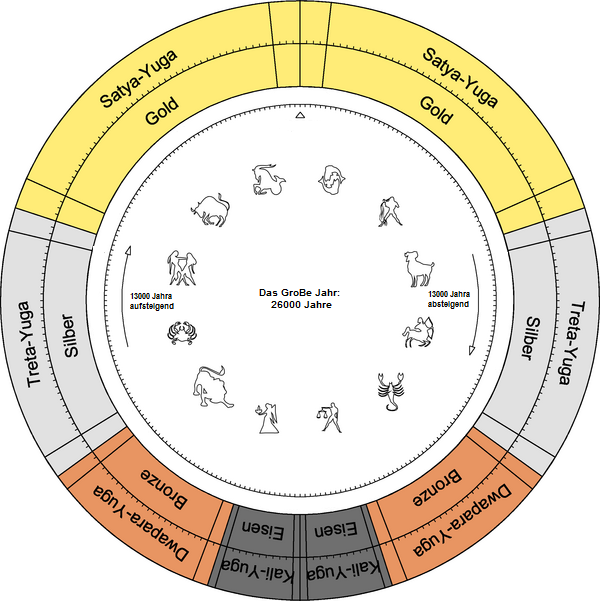 Fortunately, we are now in the opposite ascending cycle of the Yugas, moving out of Kal Yug and into Dwapara Yug. Cosmic Light to Earth is increasing with every passing day. There are longer time cycles of 78,000 years, 26 million years and 225 million years as well, within which the 26,000 year cycle pans out. What makes our present time very special is the moving of our solar system into a high band of energy in the ‘Pleiades’ constellation called the ‘Photon Belt’. We came into this Photon Belt since 1990 and are now moving deeper into it and therefore experiencing its stronger effects. This high band of energy is causing an increase in our Sun’s solar flares as is being recorded by NASA. Scientists have been measuring its two on-going effects with regards to Earth. One is the slowly decreasing magnetic field of the Earth. The other is the increased Earth’s vibrational frequency (Schumann Resonance) from its normal 7.8 Hz to about 11 Hz. It is expected to further rise till 13 Hz. We are supposed to be traversing this band of higher energy for the next 2000 years. This time period is the one that has been prophesized as ‘The Golden Age’. Cosmic Light is the finest form of energy recently discovered as ‘The God Particle’. It moves though and constitutes all denser forms of energy, be it ether, magnetic fields, electrical fields, or vibrational fields of matter and even consciousness. In the human body, it creates a purging at the physical, mental, emotional, energetic & spiritual level. The purging brings up what is out-dated, for release, so that the new can take its place. Unexpected aches and pains that come for some time and leave on their own. Bouts of anger and frustration with people, and also with the atrocities in the world. Becoming intolerant towards crowds, noise, strong odors, harsh lights, heavy foods, and the bad news on TV. Episodes of depression and feeling disconnected from the usual drama of life. These episodes sometimes have questions about one’s life purpose. Not feeling as hungry as one used to before. Feelings of tiredness or sleepiness during the daytime, prompting a break in activity. The body calls for this rest because it is trying to adjust to DNA changes. Increased forgetfulness, especially of un-interesting and trivial activities. Occasional discomfort in breathing. Feeling of a ball of energy in the solar plexus. Seeing synchronous numbers like 11:11, 12:12, 777, 08:08 etc., repeatedly, on the watch, calendar, number plates of vehicles, cellphones, or computer. Getting fed up of routine activities, as if you were meant to do more interesting things in life. Feeling like you belong in a better place than where you’re presently. Tingling sensations above the head or in the third eye region, slight passing pressure around the forehead, sides or back of the head. Seeing and hearing things that you did not before. Receiving telepathic ideas and messages. This occurs due to the light activation of energy centers in your body. Noticing that you are talking to yourself more nowadays. Shifting from an egoistic mind-based masculine energy to an egoless heart-based feminine energy. This effect is being called ‘The Shift in Consciousness’ from the 3rd dimension of consciousness to 5th dimension of consciousness. People report other sensations as well, but if you are experiencing strong sensations or pains, then medical attention is advised. If you are not experiencing any of the above, there is no cause for worry. Some subtle changes may have already happened for you at an undetectable level or perhaps, you are not yet ready to experience these changes and their associated sensations and feelings. Relax, slow down, and let them pass by. Take time out from your usual work to be in nature to remember your connection with it and ground yourself. Breathe deeply. Give your body some kind attention, feed yourself healthy saatvic food and drink more water. Listen to music that makes you feel relaxed. Let go of old judgments, justifications, the ‘shoulds, needs & musts’, and the drive to control your life on a daily basis. Give up old habits, thought patterns, belief systems and even emotions that do not serve you anymore. Spend some time daily in solitude, just meditating or talking to your Higher Self. Understand the purpose of your life. Reflect on whether the work you do is ethical. Stay away from too many electronic gadgets as they interfere with these upgrades. Stop brooding about the past. Be present in the now, and look forward to interesting activities. Pay attention to your new creative ideas, as they will manifest your future. Meet often with others going through the same, and learn from their sharing too. People having these experiences have begun dropping personal dramas and world dramas of conflict. They are getting involved in inter-personal and public service for the benefit of all. Their consciousness is expanding from the ‘Service to Self’ paradigm to the ‘Service to Others’ paradigm. Those who choose not to shift to this higher vibration of heart-centered consciousness (the frequency of ‘New Earth’), will not involve themselves in the new that is emerging here. They will find themselves on a different planet in their next lifetime, one that is not very different from Earth, but which has a lower vibrational frequency. It will feel like home for them, because it will be a conducive place to freely play out their lower vibrational ideas. This is the understanding given by the Spiritual Hierarchy of Earth present in the Heavenly Planes / Akasha / Shambhala. What is also happening during this ascension is a return of the divine feminine energy on this planet. The return is with reference to the dominance of the divine masculine that was allowed for the last 8000 years. The present chaotic, warring and loveless state of the world is due to the dominance of the divine masculine, and the trampling underfoot of its own counterpart, the divine feminine. Some know of this as the sacred dance of the Shiv-Shakti energy of this planet that has a massive consciousness, of over 7.2 billion people, because each holds a part of this Shiv-Shakti energy within. Even fewer know that consciousness underwent this Shiv-Shakti play this time around, as an alternate to the last experience of a face-off 26,000 years ago, one that caused the annihilation of most of the life on this planet, including the destruction of the ancient land of ‘Lemuria’ and the sinking of the continent ‘Atlantis’. Thanks to the divine feminine this time around, that avoided a face-off by bowing down to her counterpart, out of love and compassion. After having its way, the divine masculine is now finally learning great lessons from its mistakes, brought about by its imbalanced ideas that have caused the present devastated state of the world. It is only just learning now, how to take a few steps back so that the divine feminine can come in and restore balance. Help is also coming in for the ascension, from off-world, non-human presences called ‘Extra-terrestrials’ who are beings in both physical and non-physical form. Though this may be quite unbelievable for most people, these beings have been guiding humanity since ages. Their presences and help have been depicted in carvings on rocks and caves, right from the times cavemen figured out how to draw. Many have also been depicted as our Gods or Devas in different religious traditions all over the world in carvings on various religious monuments and other important physical structures. Some people report telepathic messages from such beings through an activity called ‘channeling’. Many see good advice in these messages, whereas some people view them which scepticism, stating that some of the advice is malevolent. A well-grounded person who is aware of what’s going on in the world, and has everyone’s benefit in mind, never has a problem in discerning what is good advice. There is also a lot of recent evidence of ‘Aliens’ proactively interacting with humans right from the 1950’s. All of this evidence is slowly being released into the public domain thanks to a worldwide project called ‘Disclosure’. 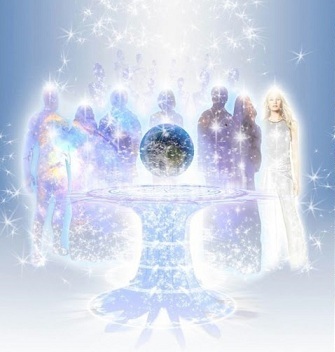 Many people got confused with messages they received in 2012 that very soon a ‘New Earth’ would emerge alongside the ‘Old Earth’ and these people kept looking in the sky for the 2nd Earth. 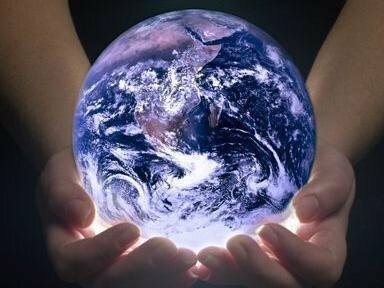 Thankfully, many in touch with reality have already realized now, that ‘New Earth’ is already here. It is the higher vibrational frequency existing in some people and places. They seem to be happy and joyous most of the time and are usually involved in sharing or establishing new holistic systems that benefit all. They are not pessimistic about the state of affairs in the world now, because they are bringing in the brighter future and they have already left ‘Old Earth’ in their fading memories. Due to the Mayan Calendar and other prophecies, many thought great things were going to suddenly happen in Dec 2012, things that would change the world overnight. When nothing happened, they were left very dejected and disillusioned. What really happened was that many new ideas and templates were formed in the higher thought planes in 2012. Those ideas and templates found their way to people on the ground in 2013 that were ready to implement them. The implementation of these ideas and templates is seeing an acceleration in 2014, in all walks of life. It does take some time to manifest into physicality that which was first created in the thought planes. If you have already noticed this happening, and are appreciating what new is emerging from it, then congratulations! You are with the frequency of ‘New Earth’. If you haven’t noticed it, and find yourself resisting what new is emerging, and even getting angry with it, then it is an indicator that you are more comfortable with ‘Old Earth’. It is all fine, really. It is your own choice of where you prefer to be. As the shift to higher levels of consciousness happens for people, they get motivated to implement holistic ideas that benefit the majority of people on Earth. They bring in new and cleaner technologies, healthier foods, projects that clean up the air, water and the earth, fair-trade systems, asset backed money instruments, symbiotic ecosystems, and many other things that society requires so that it can replace all the old, dysfunctional, and destructive systems on this planet. Some choose to wait and watch. Some choose to hope and pray. Some choose to ‘Be the Change You Want to See’. Each acts out their own level of awareness & commitment to help this living, breathing and potentially self-sustaining, symbiotic ecosystem, called Gaia / Earth / Home.